Vamos a mi casa! Montaña Azul in the BTM 2018, 25-27 September and you are welcome to visit us! The biggest Mission of the Region is opening its doors and Montaña Azul has already arranged the agenda with the visitors from all continents and the new catalog is going to be displayed: innovation in the canned cassava preserved only with salt and water. Trend with the canned heart of palm with reduced salt and health with the Organic pineapple in organic juice. 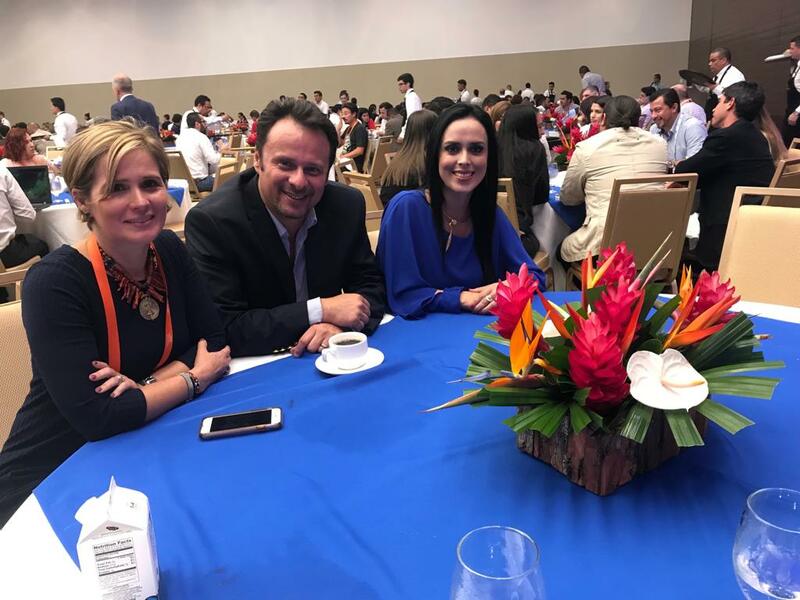 300+ companies from all the world come to Costa Rica and through 5000+ meetings represent a trade window to our companies. Montaña Azul is already booked by companies from CentralAmerica, China, France, SouthAmerica, USA and the Caribbean. Together the products will be evaluated and to new projects will be shared through our team. 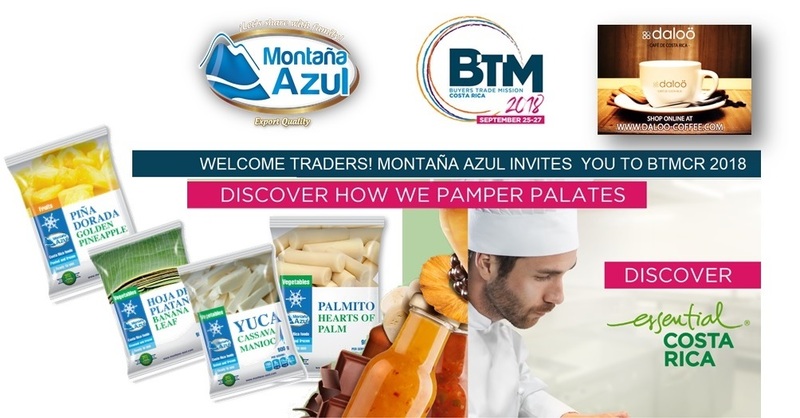 Frozen products will take particular interest to this edition of the show as Pahola Arias confirms: “Montaña Azul is bringing frozen products for the first time to the visitors at the BTM 2018: the new frozen heart of palm is our protagonist and the tropical frozen products include banana leaves, frozen cassava, frozen plantains and fruit mix. The most important is to hear those ideas from each client, so that we learn from them”. BTM CR 2018 is an annual event organized by PROCOMER in Costa Rica, find Costa Rica at the Stand of CostaRica Food Group Consortium. The government backs up the event with an article where it welcomes also 12 new countries visiting this year. Our Commercial Directors will be in charge of the Meetings Agenda.